Tequila, lime, salt...did someone say party? 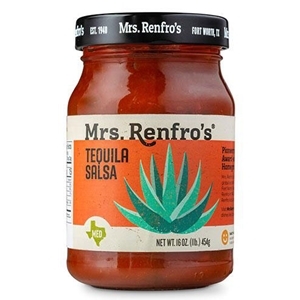 A fun twist on cantina tradition, Mrs. Renfro's Tequila Salsa adds a kick to all your favorite ingredients. Did someone say Drunken Shrimp Kabobs?